Umbria is best known for the ancient towns of Perugia and Assisi – one a corporate powerhouse (think Perugina Chocolates and leather shoes), the other the titular home of St. Francis and his newest disciple, Pope Francis I. But Umbria also includes the tiny hill town of Montefalco, and in its environs wine is made; good wine, and the Sagrantino grape may be its most celebrated and “hottest” varietal today. 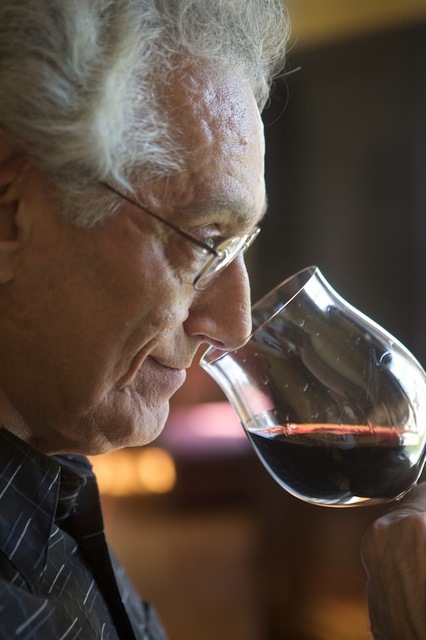 Arnaldo Caprai is a leader among winemakers, and a 100% Sagrantino grape wine is in the forefront of change. His “regular” Montefalco bottling is a fascinating blend, being 70% Sangiovese (the grape of Chianti), 15% Sagrantino and 15% Merlot. And make no mistake – this wine will not remind you of its Tuscan neighbor. It is special in its own right and the somewhat untranslatable word “squisito” fits it to a capital T.
A ruby-colored wine, reminiscent of a Côte de Nuits Pinot Noir. Overt freshness and concentration on the nose with velvety crushed berries, cherry and violets dominant. Just begs to be drunk. Grabs you by the throat and coats it with seductive fruit elements. Never heavy or ponderous, there is a sweet sensation of ripeness and a touch of licorice that makes you smile. Juicy, buoyant and full of energy, this will accompany roasts, Soppressata or a Bolognese pasta dish beautifully. Drink now-2016. The Margaret River region, at the far southwestern shore of Australia, is still somewhat of an international secret. Incredible coastal beaches, surf paradise, whale-watching excursions and spectacular stalactite-bearing caves make this a distinctive destination to fashion at your own pace. Wines have been made here for decades, and Franklin Tate Estates have been active since the mid-’70s. For a fresh take on Australia’s most famous red, (Shiraz, aka Syrah) try their fairly priced most recent release. Warm reddish-brown color. A loamy, distinctive terroir emerges on the nose with elements of wild berry, plum, Marjoram and a touch of beetroot. A spicy kick makes your mouth water. Juicy and smooth on mouth entry, it’s fruit-forward and sumptuous on the palate. Neither tight nor aggressive, the flavors are round and rewarding now. Lightly tannic structure will help this last and improve for two to three years. Pair with grilled meats or any mushroom-based dish.